Fräuline Julie saw Fifty Nine Productions’ Leo Warner co-directing with Katie Mitchell on a multimedia reimagining of August Strindberg’s classic from 1888. 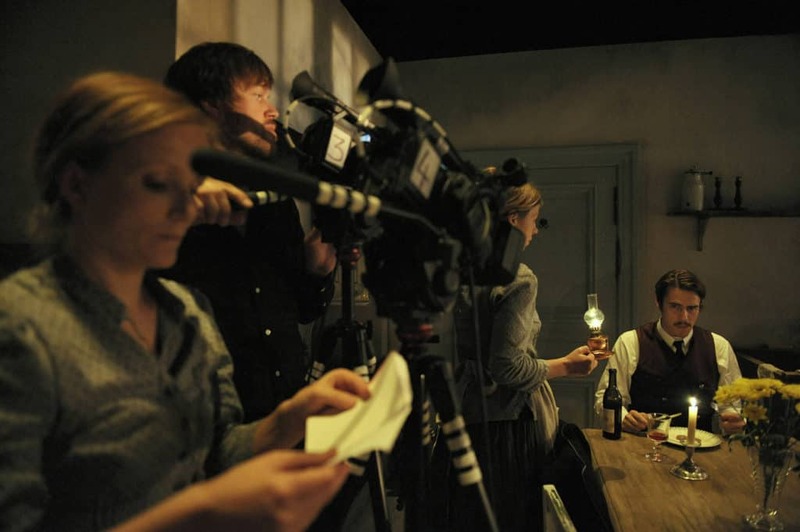 The production re-imagined the story through the eyes of Julie’s servant Kristin. 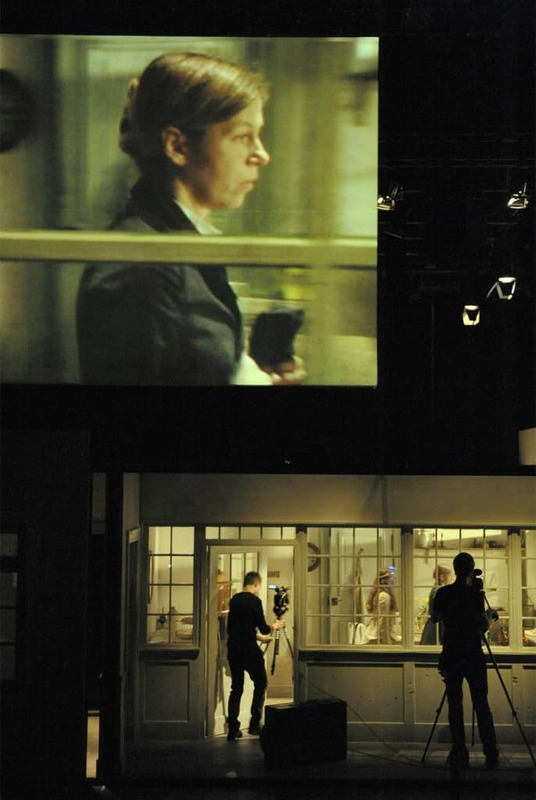 As with all of Leo and Katie’s collaborations, live video was ingeniously woven into the telling of the story, blending the languages of theatre and cinema. This resulted in a cinematic production that was charged with the tension of being created live on stage each night. This distinct experience was overlaid with an intoxicating soundscape featuring live foley accompanied by a score performed by cellist Chloe Miller. Mitchell’s fascinating production, in its mixture of intense realism and slumbering fantasy, suggests Strindberg’s play could well have been titled A Midsummer Night’s Dream if only Shakespeare hadn’t got there first. The claustrophobic atmosphere of the relationships of the play come across with a rare power, and seeing the filming work by the cast and crew (a technique that Mitchell has developed in several plays since she pioneered it in her groundbreaking Waves in 2006) illustrates the modernist idea that reality is made up of fragments. In a staging that is, in its hypnotic way, kinetically Cubist, close-up of Kristin’s hands and other semi-disembodied parts are furnished by the actress playing Miss Julie. By these studiedly non-naturalistic means and the switch of perspective, the directors succeed in re-administering an equivalent of the naturalist shock that original inflicted on its audiences in 1888. A marvel.